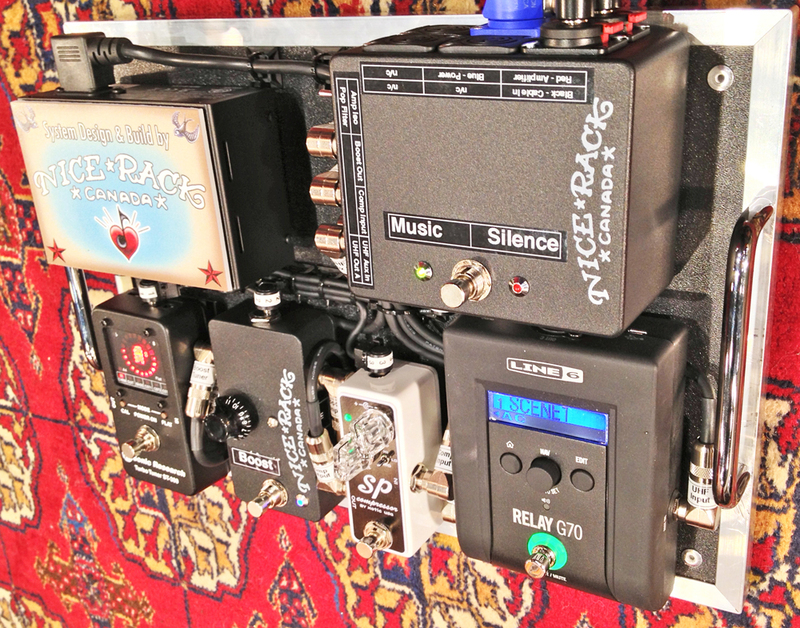 Nice Rack Canada recently designed & built up this series wired bass pedalboard for South Park creator, Matt Stone. This baby sized bottom end beast is destined for the jam space in Matt's NYC home. 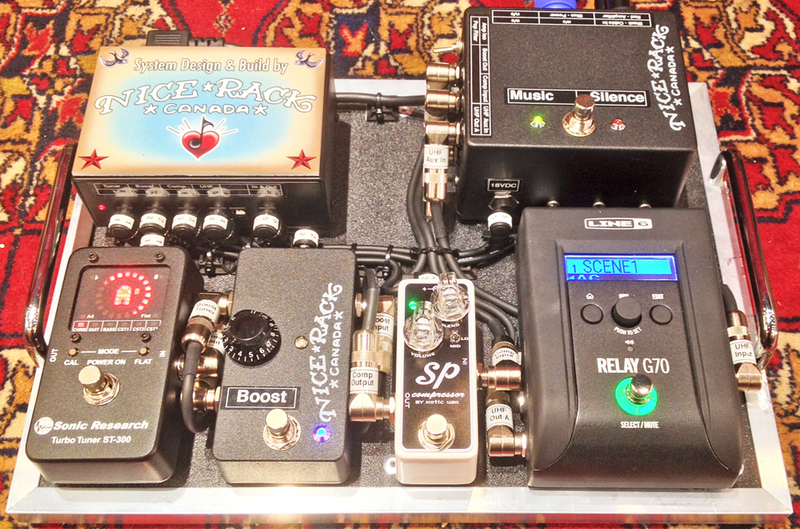 Features on this pedalboard include; an input buffer to optimize the impedance output from the UHF receiver into the Compressor. A Clean Boost Pedal with Buffered Tuner split after the OD's with optimal input loading to emulate the connectivity value of Bass -> Amp yet still being able add compression & a tuner split to the signal path. This system is powered by the Voodoo Lab Pedal Power Iso-5. Signal path is UHF or Cable Input -> Input Buffer -> Xotic SP Compressor -> Nice Rack Canada Clean Boost & Tuner Split -> Sonic Research Turbo Tuner & Amp feed with Mute Switch.